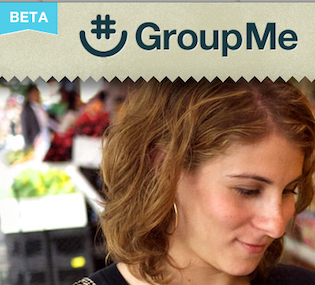 GroupMe, a startup conceived at the TechCrunch Disrupt: New York hackathon, has closed its second round of financing. This new round, $10.6 million, is a big round for a startup that’s just 8 months old and had previously raised $850,000. Khosla Ventures led the round, and partner David Wieden joins their board of directors. New investor General Catalyst Partners also participated, as did previous investors First Round Capital, Lerer Ventures, betaworks and SV Angel. The service allows users to create on the fly text messaging groups and conference calls. Millions of text messages are being sent via GroupMe each week, says the company. They now have 10 employees.